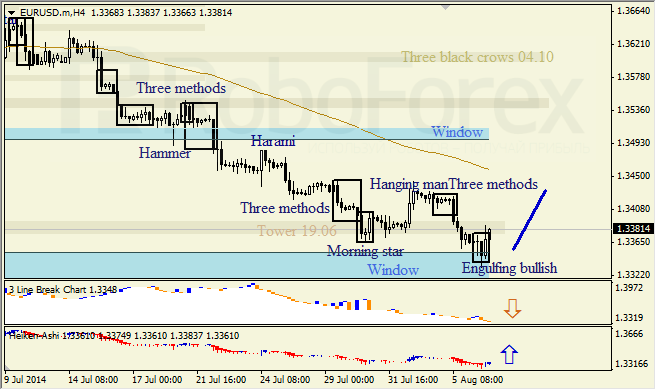 At H4 chart of EURUSD we possibly see descending trend, lower Window is providing support. Three-Line break indicates downtrend. 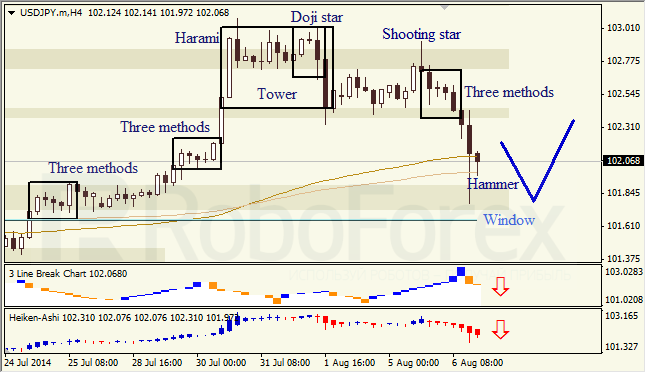 Bullish engulfing pattern and Heiken Ashi candlesticks confirm ascending correctional move. 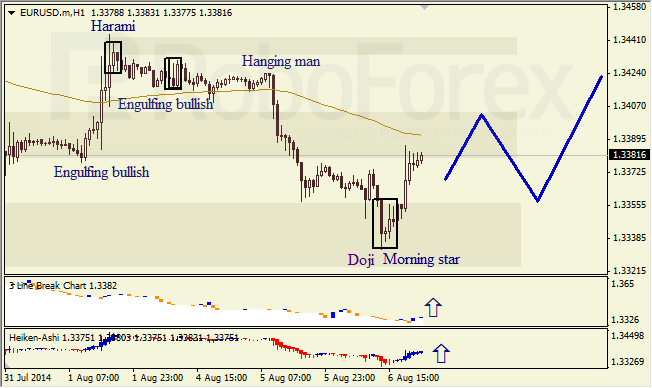 At H1 chart of EURUSD we see correctional move within descending trend, indicated by Morning Star formation. Three-Line break and Heiken Ashi confirm bullish destination. At H4 chart of USDJPY we can see decline. Three-Line break and Heiken Ashi candlesticks confirm descending trend, Hammer indicates ascending correctional move.